July Launch and other events! Lastly, due to our low memberships, we did not have enough nominations for officer positions to hold an election this year. As such, our current administration will continue to run until next year, where hopefully our membership will increase enough to have elections again. If you are interested in helping out, please attend the business meetings! Due to low membership, and non-sufficient number of volunteers to hold board positions, it is being proposed that the number of board members be reduced from seven to five. This proposal would eliminate two Senior Advisor positions. SKAR has had two full year terms and a six-month interim term for officers. During these terms, the six-month interim term and the first full year term held two advisors that volunteered to help the club form, but were not fully interested in the club activities, and thus did not participate in either club events or administration of the club. During the second full year term, the club was unable to fill one of the advisor positions, and relied on one member to hold a position as both the Vice President as well as the Secretary/Treasurer. On investigation, it has been found that while a board of seven provides the best opportunity to represent members in the administration of the club, that the club is not yet large enough to require seven representatives. 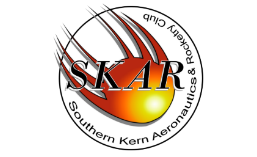 This proposed change to the Southern Kern Aeronautics and Rocketry Bylaws will be voted on both in an online poll linked from the club website and FaceBook Group site, as well as at the business meeting set to occur on 24 Jun 2017. All members are hereby advised of this action. Online voting will be held between 0930 12 June 2017 to 2359 25 June 2017. It’s time for our monthly launch! Come join us! Show off your rockets! north of Hwy 58, outside of Aerial Acres, at 35° 6′ 17.2008″,-117° 47′ 42.1188″ 9 am to 2 pm! Rocket Lab Build Session Tomorrow! Just a reminder for everyone, we have our monthly build session tomorrow in Rosamond. The session will be held at 6843 Elder Ave in the large shop on the right of the property. Bring your own kit to build or just come hang out. Session starts at noon and ends at 3pm! I have water available but if you need any other drinks please bring them. I also have plenty of tools and stuff if anyone needs anything or forgets something! Branch Elementary’s 5th Annual Edwards Intermediate Space Challenge! It’s that time of year again, when Branch Elementary holds their annual Edwards Intermediate Space Challenge! SKAR has volunteered to help the kids build rockets, and to help run their launch for the last two years, and I am hoping we can get enough volunteers together to help out again this year. Unfortunately I will be out of town for the first week and will not be able to personally support this as much as I have in the past. If anyone is interested in helping out, I have below the email from Kim Cantrell who runs the program, please get in contact with her and let her know you are from SKAR and are willing to help. Having base access is easiest, but even if you don’t I beleive the school can sponsor you on for the day(s) you wish to help. See info below! Please feel free to forward this email to other wonderful volunteers! Thank you for giving your time and talents to challenge a new generation of creative thinkers. Due to lack of supporting members, there will be no launch this weekend. Build session at the end of the month is still on. Don’t forget, we have a build session this Saturday from noon to 3pm. Check out the events listed to the left for details and address. Hope to see you all there!